Have you ever realized why do you go back to the same grocery store each month or revisit the same salon, coffee shop, and clothing brand again and again? The answer is simple. These businesses have created a strong positive impact in your mind, which in turn creates brand loyalty and keeps you coming back, every time when you need their services and products. In an online business world, brand experience and engagement are the two crucial factors that contribute to brand loyalty. A visually appealing website design, loading time, navigability of a site, ease of accessing the desired product, clear call-to-action, and quality content all are the main pillars of a great user experience. A good user experience on your website is a clear sign that your visitors can easily find everything they are looking for. You can develop a content-rich and beautifully designed site that provides an engaging experience for the visitors, keep them engaged and returning for more. The main goal of UX is to meet your customers’ needs and create an experience that is outstanding, pleasing and smooth. Here are some easy ways to improve UX, brand loyalty and overall usability of your website that will eventually provide greater customer satisfaction and unparalleled brand experience. Today consumers are more tech-savvy, demanding and well-informed. With the advent of social media platforms and the latest technologies such as machine learning, AR, VR and AI, consumer behavior has totally changed. Therefore, you need to tailor experiences for your target customers to easily capture their attention, meet their needs and solve their pain points. Did you know 79% of customers abandon the website quickly if it doesn’t meet their expectations and immediately start looking for another website? A user-friendly website offers a seamless navigation, engaging and digestible content, clear CTAs, mobile device compatibility and excellent customer service. By perfectly combining these elements you can create a digital experience that will surely engage with your customers. Providing your visitors with the right content that concisely tell them what they desire is indeed an intelligent way to stick your audience to your website. Here UX plays a key role; you can design the layout to create a transparent roadmap to guide visitors from the starting point to the desired outcome. When you simplify the choices and educate users clearly how your products and services solve their needs, it will convince visitors to make the best decision. Gone are the days when your company may only have a website that can only be accessed on a desktop. If your brand fails to provide a seamless, user-friendly experience across multiple channels and devices, then all your efforts of bringing visitors to your website will be wasted. But a seamless and great UX design can allow users to fluently navigate your website across multiple devices, access information 24/7 and accomplish a task without any interruption. Believe it or not, your visitors will hardly stick to your website if your website content fails to convey the clear message and engage with your target customers. Well-crafted, engaging and SEO-optimized content is a key to the good user experience. It will not only help your website to rank higher on SERPs but also give users a well-informed answer to their queries. Knowing your target audience can also help you create personalized content for them that will ultimately catch their attention and persuade them to take the desired action. This will eventually improve your website conversion rate and reduce abandonment rate. Some studies have clearly shown that call to action buttons work best at the specific point in the landing page where the visitors find the most relevant information. Instead of adding CTAs throughout your website and bombarding visitors at every click, it is advised to use CTAs strategically and place these buttons at the point where visitors are all set to take the desired action. It is important to create an aesthetically appealing and clutter-free website to easily catch user’s attention and leave a lasting impression on the user. But UX is more than a great design and appealing colors. It’s all about functionality and how smoothly users navigate your site and find exactly what they are looking for. To put it in a nutshell, user experience clearly determines how a brand speaks to its target customers, how it satisfies their customers’ needs and how effectively it communicates the message it is trying to convey. As a website design agency, you need to invest your time, energy and resources in creating an out-of-the-box UX to make sure your users get the right offers at the right time to make the right action. To successfully market your business and accomplish your goals, you need to create a positive UX as it can generate more qualified leads, conversions, and sales. 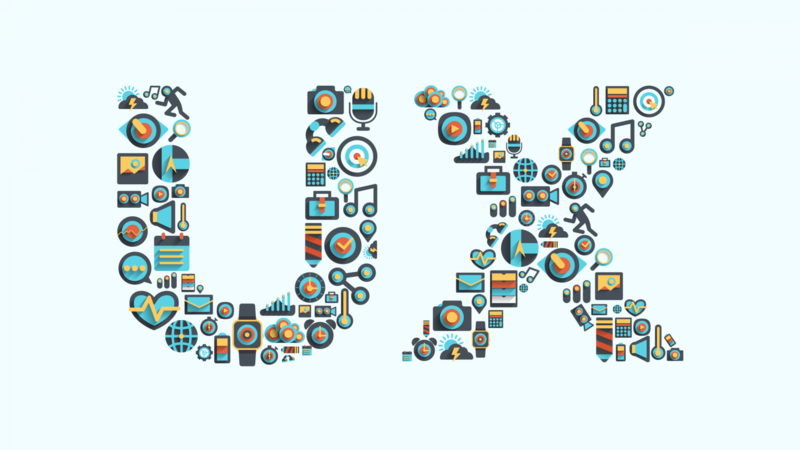 In addition, creating a strong UX strategy will help you significantly boost your ROI.